Just came across a VRay tutorial that I made this past summer. It was for the 3G1's, but will be applicable for others. It covers simple lighting, materials, and options and then adds people and shadows in photoshop. 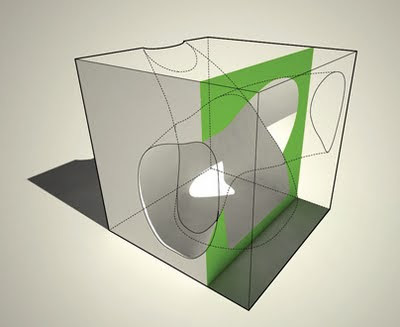 Tutorial based on demo from SmartSurfaces. The tutorial covers the creation of powercopies with embedded / dynamic parameters. Click image to launch video. 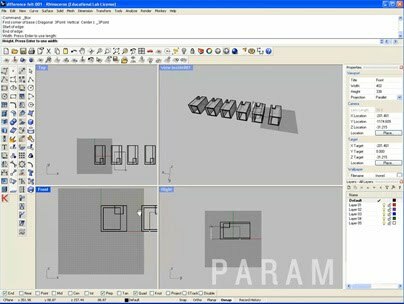 Digital Project tutorial builds a Theo Jansen leg mechanism to explain sketches and constraints. Click image to view tutorial. 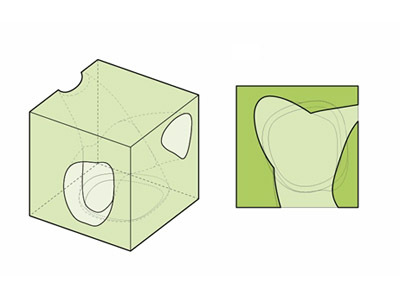 Tutorial works through the modeling of surfaces and soilds using different CPlanes. 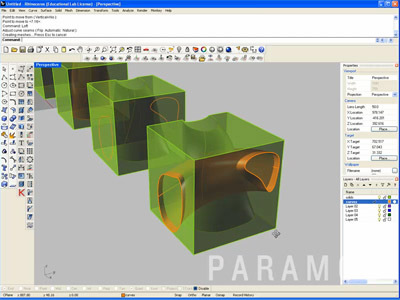 The model is then output using Make2D and brought into Illustrator. Click either image to watch the video. The SmartSurfaces course had its first meeting on September 11. There are 24 U of M undergrads enrolled (8 from Arch, 8 from Art and Design, 8 from Material Science). The students will form 4 teams to design and build a final prject that explores interaction, fabrication, and heliotropic structures. At the heart of the course and the project is the Arduino open-source electronics prototyping board. This past week we had all the students working with their Arduinos. The course website has an absolutely amazing set of Arduino resources and original tutorials produced by John Marshall. Students will be posting their work to the site, so it will be worth checkinh back. Briena - Color mixing with 3 LEDs. Tutorial shows how to create a section rendered with VRay. In order to do this a material needs to be made that is invisble but still casts shadows. 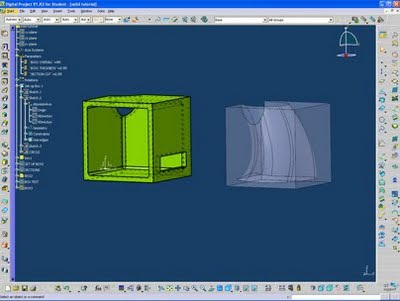 This video tutorial uses the content from an earlier Rhino tutorial to discuss basic soild modeling techniques in Digital Project. 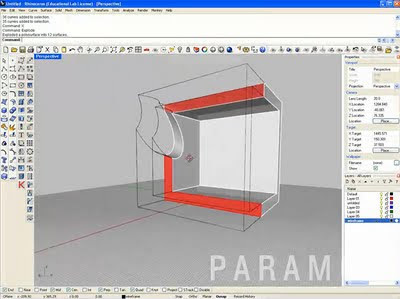 This video tutorial covers perspective, physical model output, and various drawing techniques. 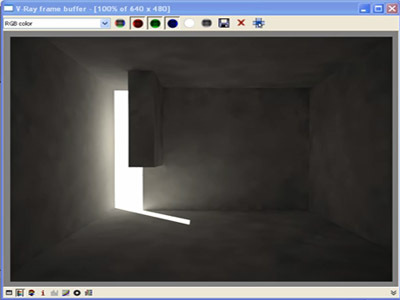 This short video tutorial covers the production of simple volumetric space using solids. It was developed for the 3G1 studio this summer. 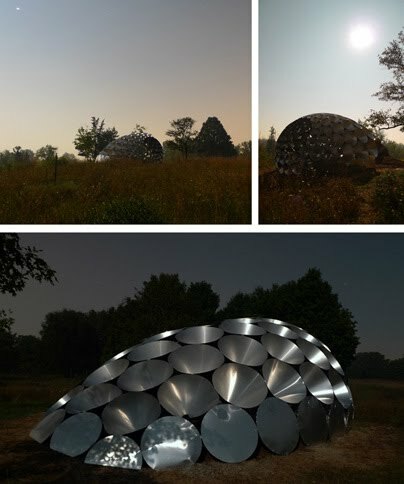 Here are a few more photos that were taken of the pavilion with a long exposure during the full moon.